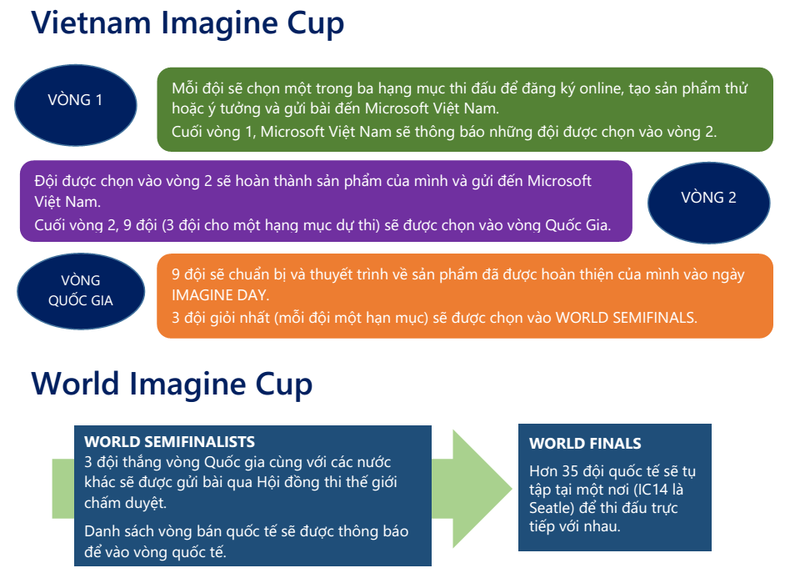 MAT is a program organized by Microsoft Vietnam with the aim of providing an opportunity for students to learn more about the Microsoft technology, to become a partner of Microsoft (MSP), and moreover, helping students establish teams that can use their creativity, passion and knowledge about technology to create a variety of applications, games and integrated solutions to make better the way we live, learn and work through MS Virtual Academy Program (MVA), Imagine Cup competition and MSP recruitment program. 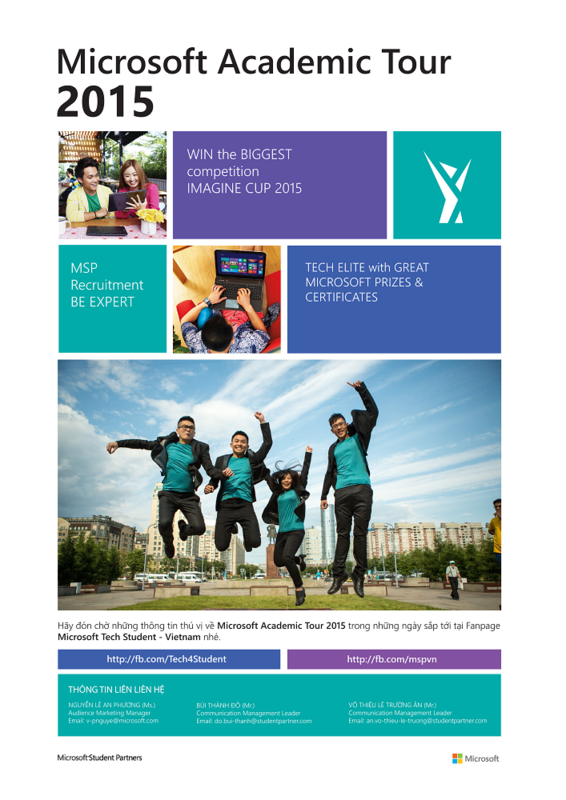 Taking helpful, free online courses and achieve Microsoft’s certificates with prizes. 23/10/2014, 8:30am – 11:00am, at Ho Chi Minh City University of Science. 24/10/2014, 8:30am – 11:00am, at Industrial University of Ho Chi Minh City . 25/10/2014, 8:30am – 11:00am, at University of Information Technology.